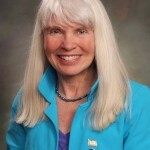 A bipartisan bill in the state House aimed at lowering Western Slope health insurance rates, sponsored by Dillon Democrat Millie Hamner and co-sponsored by Steamboat Springs Democrat Diane Mitsch Bush, won overwhelming support with a 54-11 favorable vote on Friday. Examined in-depth by the Rocky Mountain Post on Monday, the bill requires a state study on how a single geographical insurance rating in Colorado could help lower exorbitant health insurance costs for the Western Slope, where insurance companies are allowed to charge higher rates based on risk and other factors such as the lack of healthcare providers. 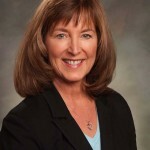 Mitsch Bush, who represents Eagle County in the state House, says the issue of skyrocketing healthcare costs has been a long-running and difficult issue. In 2016, premiums in the mountain area increased an average of 25.8 percent, while the average increase across the state was 9.8 percent. Currently, Colorado has nine geographic rating areas, and combining these into one statewide area could even out these discrepancies. HB 1336 requires the Department of Regulatory Agencies to conduct a study to determine the impacts of establishing a single geographic area for premium rates for health insurance plans in Colorado. The study has a quick turnaround with the deadline of Aug. 1 to make recommendations to the Joint Budget Committee. The 54-11 House vote sends the bill to the Senate Health and Human Services Committee.